The accessories released during the ROTJ era closely mirrored the same products available in the U.S.. The accessories' boxes had both English and French printing on both sides; a tell-tale sign that the item is Canadian. 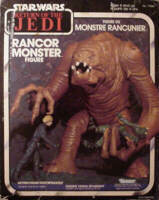 The Rancor Monster in ROTJ box. 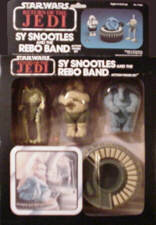 Sy Snootles and the Rebo Band in ROTJ box. 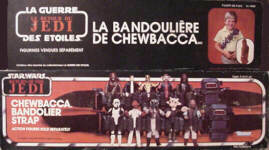 Chewbacca's Bandolier in ROTJ box.